Did you know that in the U.S. over the past 30 years Antidepressant prescribing has risen nearly 400% and suicide has surged to the highest levels ever. 1 out of every 10 people feel disconnected, dispassion, lost, alone and not enough. Don’t you wonder why? Fear has perpetuated isolation in the name of protection. The result is, we now live on a planet with over 7 billion people and 1 out of 10 people feels alone!!! This is madness! It isn’t a lack of our basic needs food, shelter and water driving people towards suicide or depression because we have more than enough! In fact, with the help of many innovators and technology the convenience levels and comfort of our lives has significantly increased from just 30 years ago… So, it definitely isn’t lack of comfort or convenience. We have more than enough food on this planet to feel all of the living creatures, yet people are starving to death everyday! This planet has more than enough food to feed every single person, yet there are people starving and children are going to bed with pains of hunger. It isn’t the lack of food it is the lack of consciousness, compassion and connection. We need to start healing our society. LOVE and compassion is the only way! In LOVE the human spirit can concur just about anything. We need a pretty big dose of LOVE right now to override the fear that has started this process of isolation and separation! We need to take down the walls and start really seeing one another! Don’t just throw stuff or money at the problems give your time, energy, love, compassion. Commit some time to being! It isn’t a lack of our basic needs food, shelter and water driving people towards suicide or depression because we have more than enough! We say this at the end of the practice because the point of your practice was to help you access that place within. 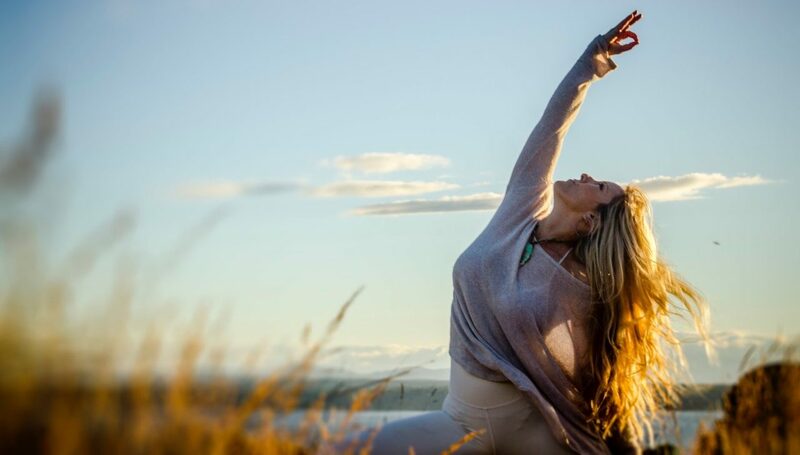 Through deep breathing, centering, grounding and practicing presence you will have created space to reconnect with your true self (The self that knows it is love, light, peace and joy). Yoga takes down the armor, layers of protection we have placed between our true selves and the world. These layers can be titles… I mean all titles come with certain expectations like your job expects you to show up a certain way as does your significant other or your friends and children… But none of that is your true self. And the more time we spend in the façade and away from our true self we lose our way feel disconnected, off, alone. Those who are lucky enough to have discovered yoga know that it is a way back to self. When you have seen your true self you recognize every person place or thing as divine a piece of the same love. You know that you are enough and when you can be with yourself in a way of compassion and love you start to see the miracles everywhere. Get out there and SPREAD THE LOVE!! The wonderful thing about these blog posts is that they are not for show, not for getting attention, but rather direct from the heart. This, to me, is why they are so moving. After two and a half years, I’ve learned that much, at least. I’d recommend this post (and the others, too) for anyone looking to restore their faith in people or life. If nothing else, the “spread the love” message is something we ought to give a try, don’t you think? Of all the souls I have ever known, Debbie is one of a few who is not only inspiring; she makes me want to be a better person.